Is Mayor Bloombergs New York Really a Tech Town? As Mayor Bloomberg looks to cement his legacy in the twilight of his third term, a huge question he has to answer is whether one of his signature economic projects – expanding New York City’s tech sector – has been a success. He’s claimed repeatedly that it has been, throwing parties for the city’s techies and pointing to Google and Facebook’s big offices in the city and the success of home-grown companies like Tumblr as signs that New York is now a legitimate rival to Silicon Valley. Mayor Bloomberg’s latest victory lap — a study that claims that tech is now the second-largest economic engine in the city, and is supporting 262,000 jobs — has drawn celebratory headlines declaring New York’s emergence as an official Tech Town. But under the hood, the actual evidence is less than convincing. New York’s tech/information sector also includes major news/information operations such as Bloomberg L.P. and Thomson Reuters; media giants such as Viacom and Time Warner; and rapidly transforming publishers such as the New York Times Company and fashion leader Condé Nast, who are in the midst of massive efforts to digitize themselves. If your goal was to portray New York’s tech industry as a booming sector, this is about as big a definitional net as you could cast. It means that every BuzzFeed editor, every HBO producer, and yes, every New York magazine blogger counts as a “tech worker.” And using this method, Mandel estimates that New York has roughly 262,000 of them. Some of this mixing and matching makes sense. Media companies and consulting firms do employ large numbers of web developers and digital ad salespeople, and the line between the “tech industry” and everything else is graying rapidly in general. (Are you a tech worker if you develop trading algorithms for Goldman Sachs? What if you drive an Uber car?) But that’s only a secondary reason that Mandel chose this patchwork methodology. The real reason is that the Bureau of Labor Statistics doesn’t break its data down into a category called “tech workers.” Instead, it uses NAICS codes, which have outdated labels like “Electronic Shopping” and “Electronic Auctions,” and over-broad categories like “Information.” You can’t really construct an accurate picture of New York’s tech scene using these metrics, so Mandel has to cobble together his own methodology – guessing, for example, that 30 percent of management consulting jobs are tech-related, and should be counted in the category. There has, indeed, been growth in New York’s tech industry since Mayor Bloomberg took office – growth that has been good for both the city’s tax coffers and for residents who have gotten jobs. But Mandel’s claim that this growth is due mainly to City Hall’s efforts is simply conjecture. When Mandel writes that the difference between New York’s tech sector and that of other cities “can be attributed to the far-sighted actions by Mayor Bloomberg’s administration to act as a catalyst for the tech/information sector,” he’s ignoring the other factors in play (like talent arbitrage), and glossing over the fact that New York’s tech sector grew during the last tech bubble, too. 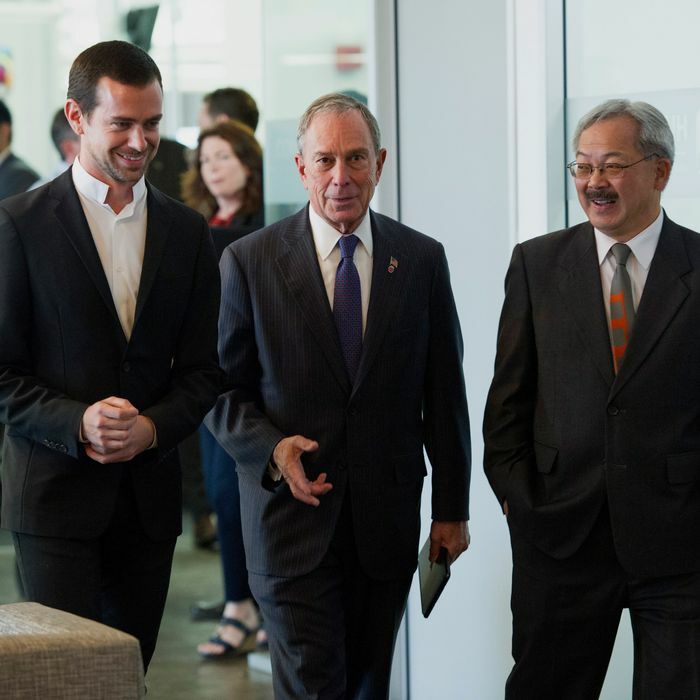 There’s no discussion in the report of specific startup-friendly policies instituted by the Bloomberg administration, or causal links between actions by Mayor Bloomberg and specific acts of job creation in the tech sector. There are also no acknowledgments of the fact that among the largest native New York tech companies, some (like Tumblr and Makerbot) have been acquired by non-New York companies, and others (like OMGPop) have folded. There are better ways to measure the growth of tech in New York. You could pull numbers from the NVCA’s annual survey about how much venture capital funding is flowing into New York-based companies, or count the number of successful exits those companies have had. You could also simply point to a number of New York-based startups and venture capital firms that have emerged during Mayor Bloomberg’s time in office, and applaud the efforts of those companies, without taking credit for their success. But in using incomplete and over-broad data sets to measure his success, the Mayor’s latest study only has the effect of muddying the waters. For a guy who made his fortune in the accurate-numbers business, it’s a surprise he’d want to hang his economic legacy on something so flimsy. Is Bloomberg’s New York Really a Tech Town?